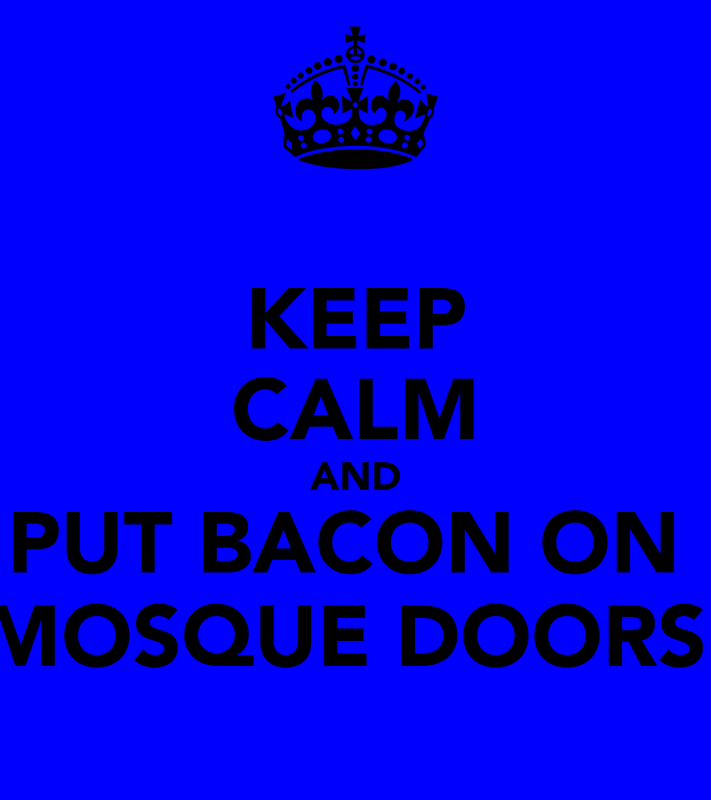 ORLANDO, Fla. - A 35-year-old Florida man was being held on Tuesday after being accused of vandalizing a mosque and desecrating it with bacon, whose consumption is forbidden by the Muslim religion, police said. Michael Wolfe was arrested on a charge of criminal mischief against a house of worship on Monday after surveillance video showed a man using a machete to break windows, lights and cameras at the Masjid Al-Munin mosque and leaving raw bacon at the front door, Titusville police said in a brief statement. Anti-Muslim sentiment has swelled in the United States after a young Muslim couple inspired by Islamic State massacred 14 people on Dec. 2 in San Bernardino, California, and after comments by some Republican presidential candidates, according to Muslim leaders. "While we welcome the prompt arrest made by Titusville police department, we urge that this case be prosecuted as a hate crime," Rasha Mubarak of the Florida chapter of the Council on American-Islamic Relations (CAIR), a national civil rights group, said on Tuesday. The use of pork in the vandalism qualifies as a hate crime because the consumption of pork is forbidden by the religion and is frequently used as a means of intimidation, according to Muslim leaders. Police in Titusville, about 22.53 km north of the Kennedy Space Center in central Florida, released no further details on Wolfe's background or the arrest. Wolfe was being held on $2,000 bond. He has not entered a plea and could not be reached immediately for comment. This was at least the third report in less than a month of vandals leaving pork products at U.S. mosques. Last month, wrapped bacon was left on the door handle of the Masjid-e-Tawheed mosque in Las Vegas, and a pig's head was thrown from a pickup truck near the Al-Aqsa Islamic Society in Philadelphia on Dec. 6, according to CAIR. CAIR said cases of damage, destruction, and vandalism of mosques, and intimidation attempts reached a record high in 2015 since the organization began tallying incidents in 2009. Okay, somebody had to say this. Waste of good bacon. Bacon - It's Political Now. Since when has it been a crime to put meat on a building? Going to be difficult to convince a jury that leaving a gift of food is a hate crime. Don't be silly. Many states, particularly Florida, prosecute people for feeding the homeless. Hard part will be convincing the Florida law that Muslims are entitled to the protection of the law.